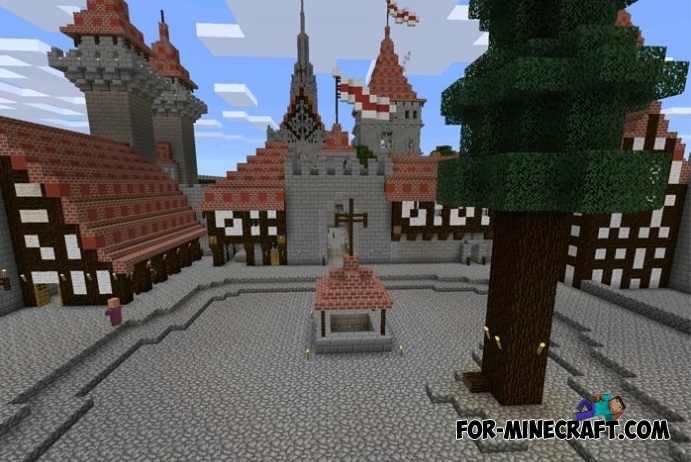 The map contains the ancient medieval castle with high walls, beautiful, behind which there is a church and a few village houses. 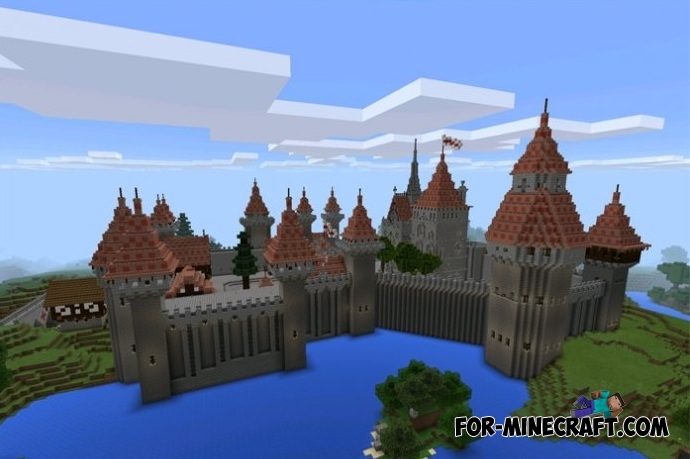 The castle is located near the woods and rivers which surround part of the castle to create the additional obstacles. 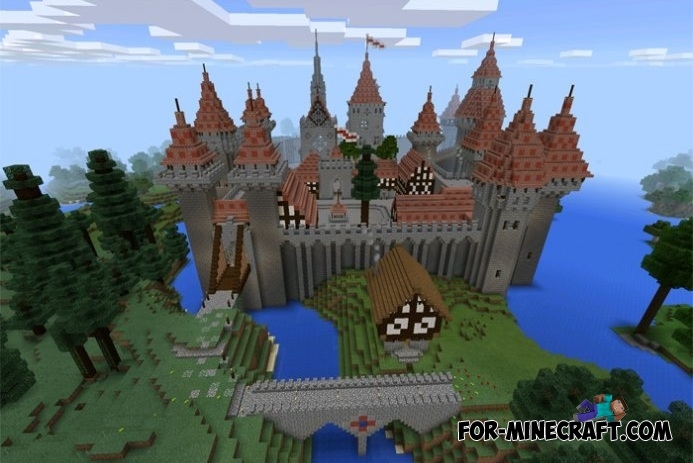 Huge castle for Minecraft PE 0.10.4The huge castle in MCPE, try a taste of the Middle Ages.